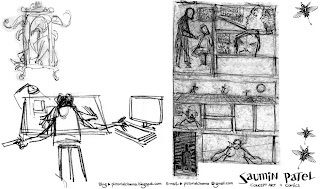 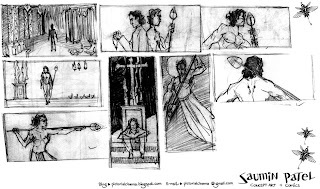 All these sketches have something that i want to refine and use sometime somewhere, so this blog is my visual diary of thoughts..for checking my final artworks visit pictorialcinema.blogspot.com. 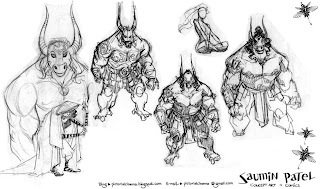 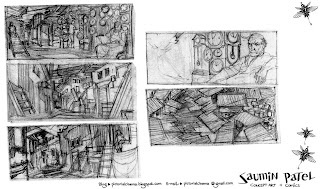 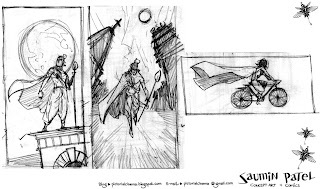 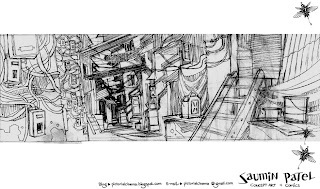 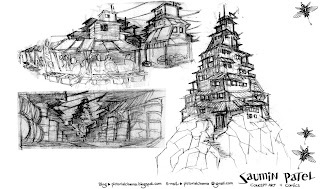 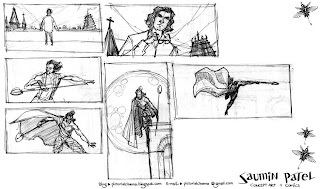 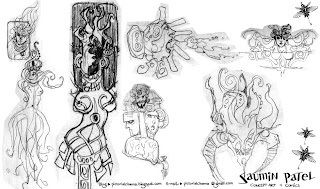 These were done for a movie project for the studio 'a bellyful of dream'. 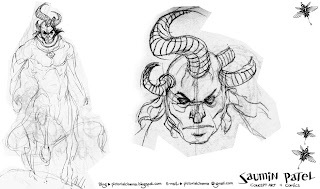 was really cool to work on a project of this kind as it had a lot of superhero hints to it and thus lots of scope to play around with the costume...these were some of the very first scribbles done to get visuals for a photo shoot...This was a good experience as i got to see the scribbles go to sketches then to rough visuals and then actual model shoot to final image compositing...it was very satisfactory process as what i had imagined while scribbling these could be achieved atleast 95 percent in the final composited images with actual model shots. 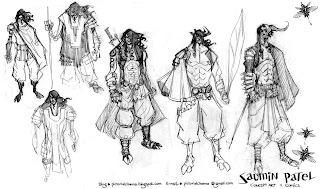 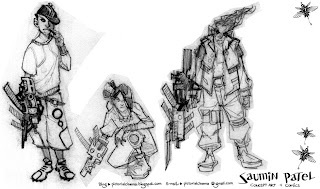 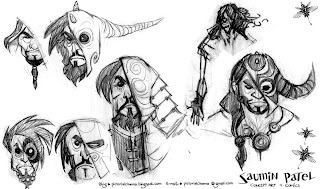 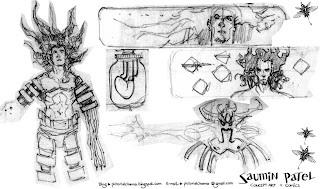 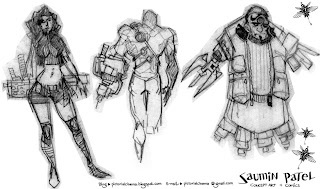 This was a fantasy..the first batch of characters was designed much early.this was a second round of character designs mainly consisted of all the baddies and some new good guys..was fun working on this project because of the subject matter anything could be possible so there were no restrictions for designing. 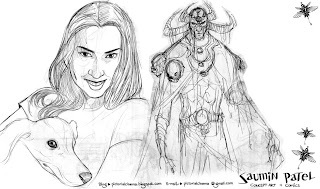 always while working i tend to get craving to sketch something totally different right inbetween work and i just have to stop and sketch it right there and then or else i am unable to work..so this was result of one of those attacks...dont love it dont hate it either. 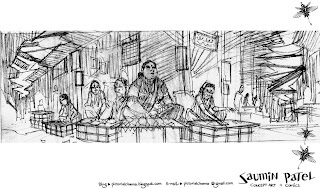 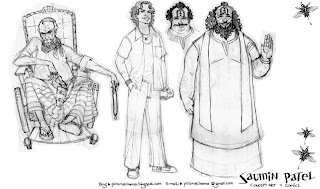 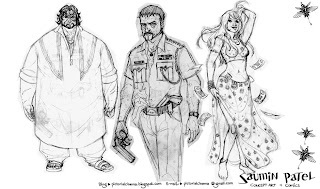 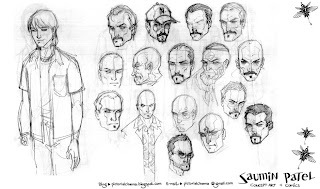 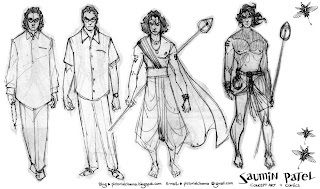 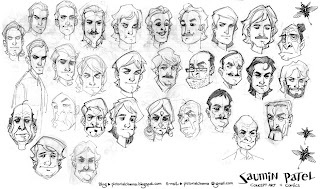 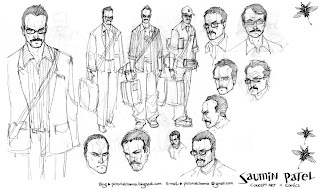 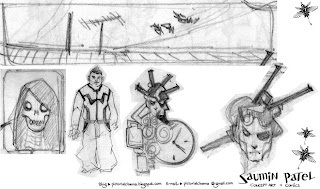 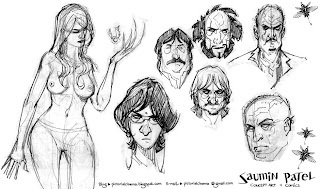 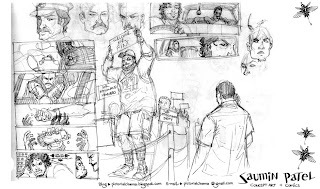 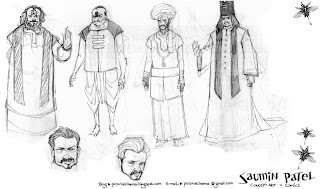 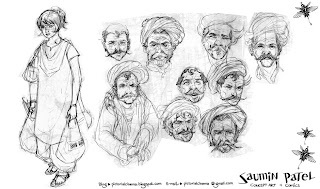 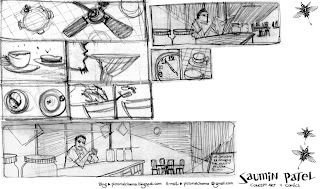 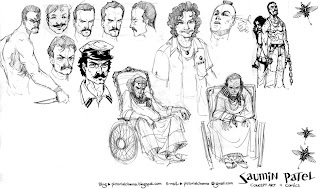 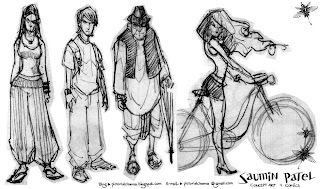 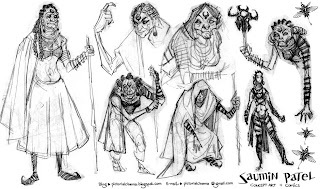 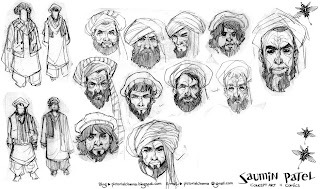 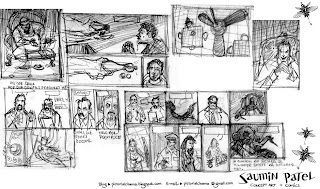 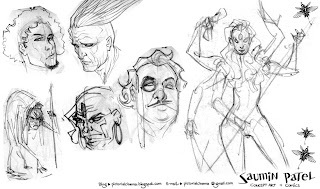 These are the sketches done during mumbai macguffin project..the style was not fixed yet so there is plenty of variety in the shapes and features of the characters. 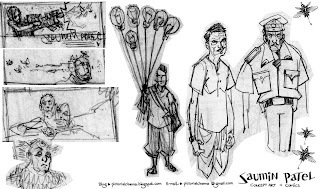 in the beginning it was very simplified shapes later on it went on to become more detailed as i was trying to make each character different and authentic...the characters i loved most there the rajasthanies and the terriorists...mainly as i designed those very fast and by then i had a bit of control over the style i wanted to follow for the project. 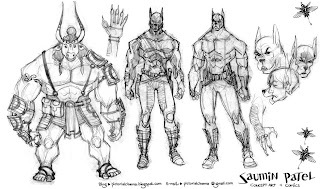 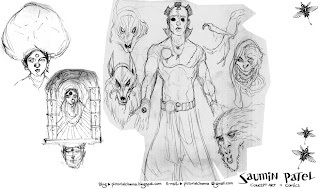 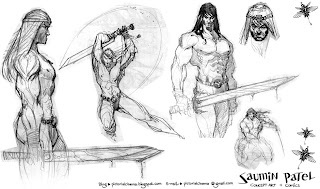 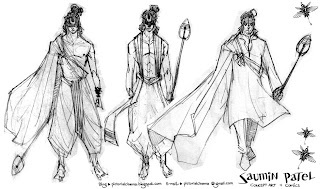 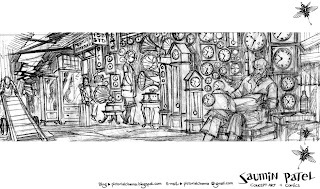 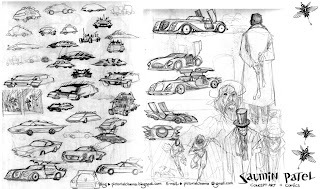 I am based in mumbai and working as a freelance illustrator/concept artist. 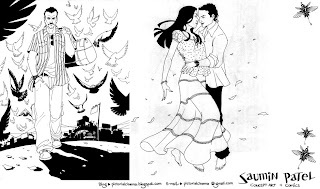 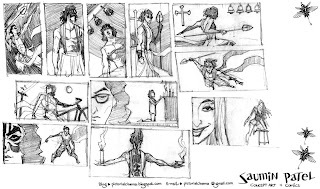 So far i have provided illustration and animation work for Virgin comics, Grey worldwide, Lowe, Publicis ambience, Mtv,Vh1, Saatchi & Saatchi,Hungama tv etc.